Winter storms have been hitting the country with an outlook for continued blizzard conditions and extreme cold temperatures. 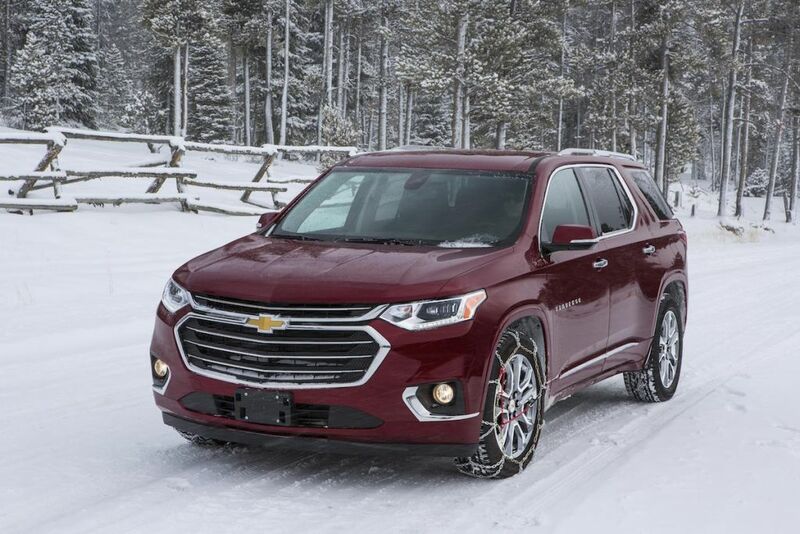 The team at Chevy would like to remind drivers of some of the things they can do to be ready to navigate the roads this winter. Check out our top ten list of winter driving tips to help you stay safe and prepared on the road. Maintain your momentum: If you must travel up a hill in snowy conditions, it’s important to leave enough room in front of you and maintain your momentum while traveling up hill. Stopping in the middle of a hill can result in the driver becoming stuck. Changing lanes: If you are going to change lanes, you may want to look for patches of snow covered pavement, these areas often provide better traction for maneuvers. Once you signal for your turn, and begin to maneuver to the next lane, if the vehicle slips it’s important to remember not to overcorrect or panic, the StabiliTrak® system will assist in your maneuver. In case of a skid: Don’t pump the brakes. Look in the direction you want the car to go and steer smoothly in that direction. For modern vehicles with antilock brakes, don’t pump the brakes. Rather, maintain pressure on the pedal and let the ABS system modulate the braking. If the vehicle gets stuck: Depending on your vehicle’s ground clearance and the snow conditions, you can sometimes gently rock the vehicle free. Turn the steering wheel left and right to clear the area around the front wheels (or using a snow shovel). Turn off any traction system. Gently shift back and forth between reverse and a low forward gear, spinning the wheels as little as possible. This creates a rocking motion that may help free the vehicle. However, if after a few attempts you are unsuccessful, it’s important to know when to call for help. If the vehicle is stranded: Call OnStar for assistance. The winter driving section of owner’s manual has detailed instructions for intermittently running the vehicle to keep the interior warm. Be sure to clear snow from the base of the vehicle, especially any snow blocking the exhaust pipe. Open a window about two inches on the vehicle side away from the wind to bring in fresh air.